The gates are now open at the area's best maintained, most spectacular course - one that was formally limited to a small number of enthusiasts. Now open for all those who genuinely love the game and challenges that only Ballamor will be able to provide. 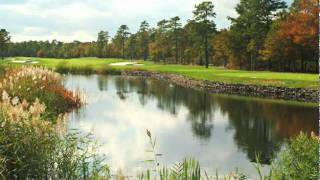 Carefully carved out of gently rolling land and dense woods, Ballmore was named the 4th best public course in the state of New Jersey by Golf Magazine. Designed by nationally renowned architects Ault, Clark & Associated the course uniquely blends traditional architecture with subtle modern-day nuances succinctly capturing the distinct beauty of the property. As such, each hole possesses its own individual character with a total package that presents a strong composition, testing every type of golf shot. This once private course is now open to the public. Please call 844-475-2922 for current rates. Call 844-475-2922 for rates and tee times. Contact Ballamor Golf Club at 844-475-2922 for more information and details on holding a golf outing at the course. Contact Ballamor Golf Club at 844-475-2922. Contact Ballamor Golf Club at 844-475-2922 for onsite or nearby dining options. Watch the Ballamor Golf Club Video. This profile was last updated on 04/25/2018 and has been viewed 4,242 times.